Scrap Titans is a tile-based area control game in which players compete to form the largest and most profitable scrap recycling empire! Acting as start-up recyclers, players form contracts with communities in a growing city to recover value from the stream of scrap metals, plastics, and other materials. 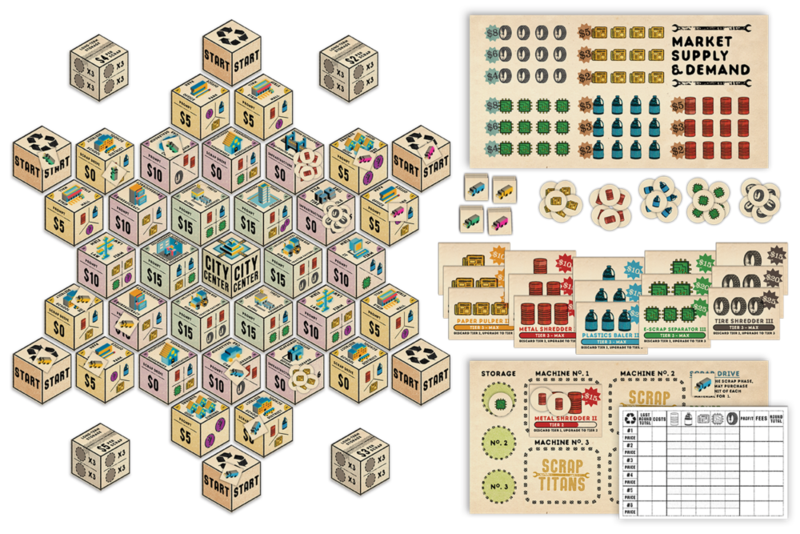 By selling reclaimed materials on the open market, players earn profits, invest in new processing capacity, and become the dominant scrap recycler in their area. In order to succeed, players must plan for changing supply and demand and manage their processing capacity versus their contractual obligations.